Some people always let their minds jump to the worst possible conclusions. It’s a habit people get into for various reasons, and it can be difficult to break. But it can be done, by learning to be logical and calm, and having a support network of sensible people you can call when you feel out of control. If your friend is about to board a plane, and your first instinct is to worry about it crashing down in flames, you may be prone to catastrophic thinking. It’s also known as “catastrophising,” and it happens to many people at some point in their lives. 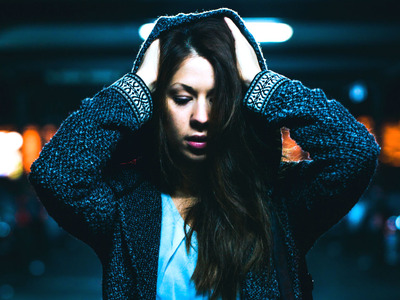 It might be a result of your previous bad experiences that you can’t shake, or it could be linked to mental health issues like anxiety or chronic depression. According to Linda Blair, a clinical psychologist and columnist at the Telegraph, catastrophising is an unhelpful habit people fall into in some way. Unfortunately, life doesn’t work this way. By thinking catastrophically, we are actually making things worse, because our unconscious mind doesn’t distinguish emotionally between what we imagine and what really happens. People may learn the habit of catastrophising because they have had a bad experience before that they didn’t see coming. To protect themselves in the future, they start imagining the worst possible scenarios in every situation, because they don’t want to be caught off-guard again. They may think to themselves that going through the worst situation in their mind will mean they get it over and done with – but in reality, this isn’t logical at all. Nobody can predict or prevent the future. Other people catastrophise because it is what their parents did, and they copy the patterns of behaviour they saw growing up. Like any habit, catastrophising is hard to break. Habits are stubborn, and in many cases, people have behaved the same way for years, perhaps decades. Blair said a bad habit is always ready to jump back into your life, especially when you get highly emotional. But the solution is to learn to be rational and calm. For example, in the case of imagining a plane crash, Blair asks her clients to look at the statistics for airline crashes on their phone. Then, she tells them to look at the statistics for crashes with that particular airline. “And I say OK, a minute ago you said you were 100% certain that this terrible thing was going to happen, what per cent would you give it now? And it’s always lower,” she said. People then tend to see how rewarding it is to focus on the logical answers, rather than letting their imaginations get carried away. The more impulsive you are, the more likely to are to slip back into old habits, Blair said, but it just takes practise and persistence to learn to slow down and go to logic first. Another solution she recommended is making a list of your most calm and sensible friends, and telling them you may phone them once in a while, as you sometimes feel out of control. So the next time you sense yourself spiraling over the fact your parents are late and could have been in an accident, or even something smaller like the fact someone isn’t texting you back, take a breath and try to think objectively. Also, be aware of the fact you’re trying to change, because it’s not easy to adjust our behaviour.